I have always believed that traveling is the essence of life. It doesn’t matter if the destination is an exotic country, a romantic getaway spot or going just 50 miles away from home. It is about craving adventures, tasting amazing food and broadening the horizon of one’s knowledge. And have you noticed how nice it is to return home after a trip? Life just seems better! But how to choose the travel destination? It is never an easy decision. Many of us have chosen to travel to France, Italy, Greece or Spain and there is a reason why – all these places have a truly amazing cultural heritage. A La Dolce Vita vibe! A fiesta feeling! But how about being one of the first one of your friends finding a hidden gem and discover something you haven’t seen before? Something so familiar, but yet still so unknown – Latvia. 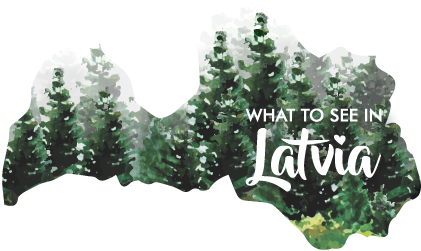 Many of us have heard its name, but it is rare to meet anyone who actually knows something about Latvia and you probably wonder – what to see in Latvia? Over the last decade, more and more tourists have chosen Latvia as their destination and I can tell you why… Because they have found the secret gem. It is a small, charming country that has too long kept itself secret. Latvia has it all – beautiful sandy beaches, great weather, charming small towns, beautiful castles, manors and an attractive capital that is sometimes called the ‘Paris of the North’. All that and it is so compact that you can see almost all of it within a few days! You can find refreshing spa offers and rustic-chic restaurants that will make you feel special and not break the bank. Enjoy hiking and nature? Great! Latvia is the perfect spot for you, over 50% of the country consists of forests and it boasts 494 km of coastline. And that’s not all – this small country can amaze you with more than 2250 lakes and five times more rivers. Perfect for sailing away from the routine. Did I mention that during July temperature can go up to +36 degrees and there are only 2 days a year on average when the sun is not shining? Come and enjoy. And keep in mind what they say about Latvia– it is best enjoyed slowly. I hope you will like my blog about what to see in Latvia. Bon voyage!